This project was recognized for its innovation in office design. 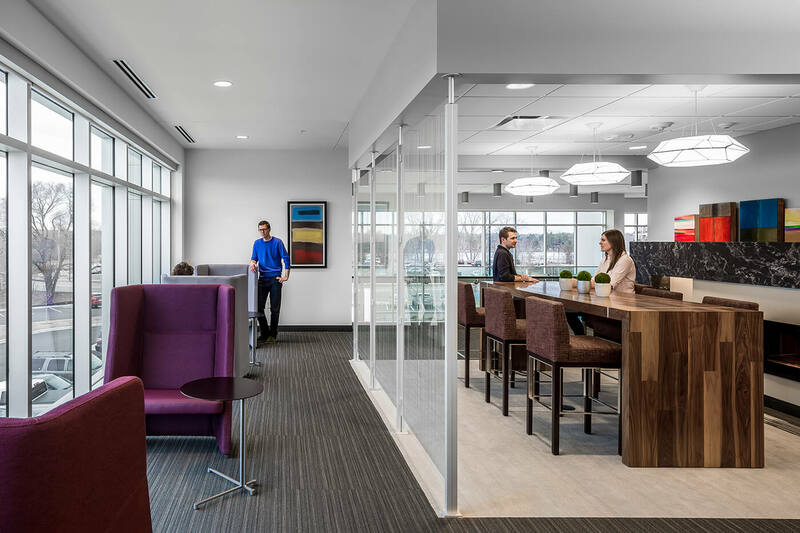 The build-out of a new building for this medical device company encompassed research/development labs, an innovation center, a training center, collaborative areas, offices and adjustable height workstations for up to 200 employees. Due to critical product release dates, the entire project was completed within an 11-month time frame. Recognized for its innovation and unique interior concept, this project incorporated a flexible, open layout to accommodate universal banking stations, while allowing for easy interaction throughout the space. 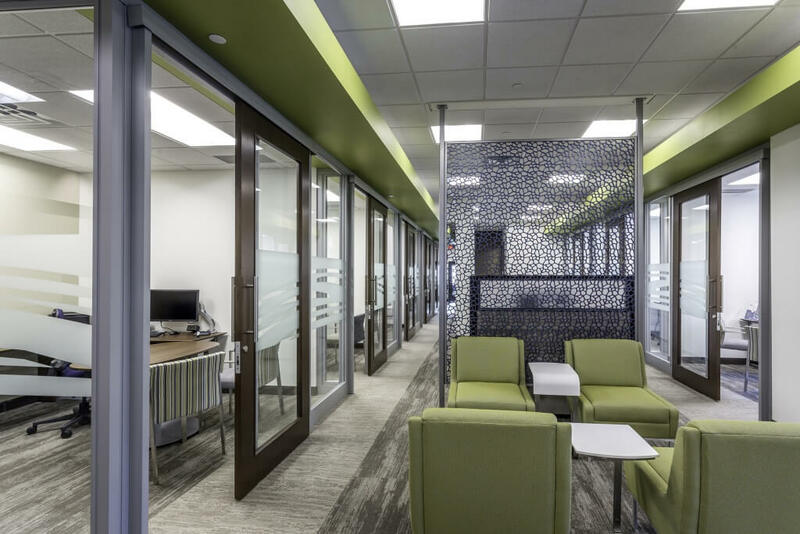 The new bank design allows Highland Bank to continue providing the level of service their customers are used to, in an environment that is progressive and easy to navigate.